Windows Phone 8 is just in the process of being released and with it comes updated apps. Notably Nokia’s own apps are getting spruced up to take advantage of the new platform. 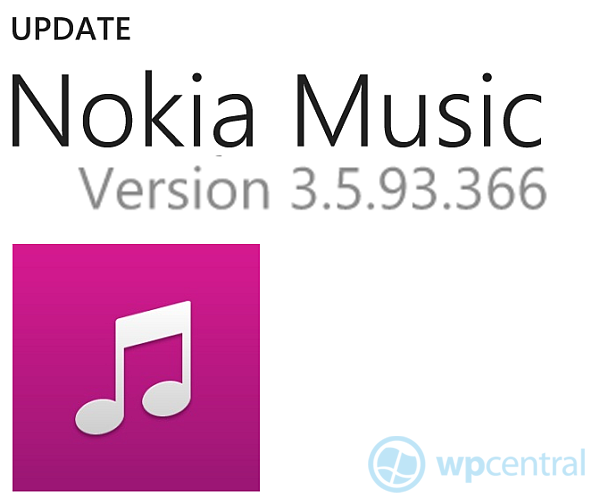 Yesterday saw an update go out to Nokia Music, its actually still showing as 3.5.93.366 but announced some new features with regard to the newest version of the Windows Phone OS. All sounds good doesn’t it? Delete works and I’m sure the option to login with Facebook was there but there doesn’t seem to be any way at present to access the Dolby features from the player menu as they suggested. I personally tired with headphones plugged in (as that’s part of the feature) and without, no luck finding that graphic. The app does now allow you to delete tracks from your collection which might be useful to some but the EQ while playing back music would have been far more welcome. We’re wondering what happened to that feature. We’re certainly pleased to see that Nokia are full steam ahead with getting their great exclusive apps updated for Windows Phone 8. Nokia Music is a great service and totally free if you’re a Lumia owner so we’d encourage you to try it out if you haven’t already done so. You can find it here in the Nokia Collection on your Lumia Windows Phone. Nokia recently told us of their commitment to this feature and we’re expecting some rapid fire updates to its capabilities to come shortly. We’d like to know what you think of Nokia Music in its current form, features you’d like to see in the future and any tips you might have for getting the best out it it. Please let us know in the comments below.